Another reason to learn to play the piano! 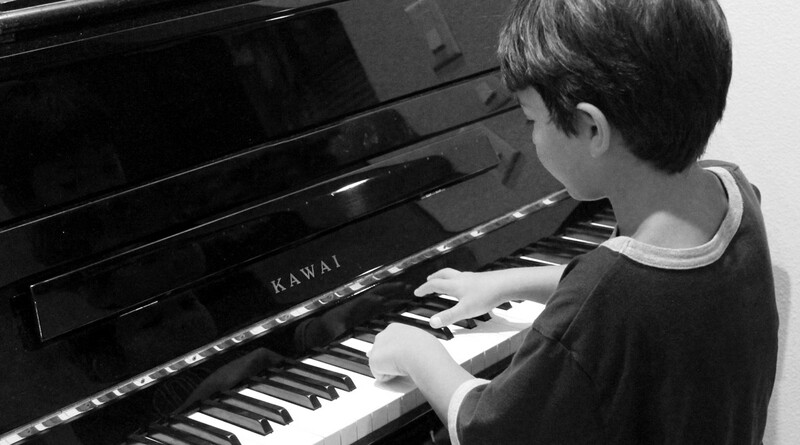 Study found that some areas of a child’s brain can benefit from early musical training. New study finds that some areas of a child’s brain can benefit from early musical training. A new piece of research reveals that playing piano for six months can noticeably improve a child’s language skills. A study in the early 1990s discovered the “Mozart effect” in children, which showed early language development and spatial-temporal intelligence could be boosted by keyboard lessons for preschoolers. Additionally, a study by Dr. Charles Limb showed that pianists who solo use their brains linguistically as if they were responding conversationally and grammatically. Improvement in the classroom, Improving neural connections, broadening vocabulary, reducing stress, fostering hand/eye coordination, aiding in language development, increasing human growth hormone, spliting concentration, aural awareness and inspiring creativity say Health and Fitness magazine. Published by Health and Fitness - an interesting arctile expressing that if you are looking for more ways to enrich your life, adding musical skills is a great way to do so. Commenting that anyone can learn to play the piano, and how the hobby helps with the development of skills that make will make you a more talented and cultured individual. Also touching upon how playing piano has many health benefits, both mental and physical.